(WASHINGTON) – DEA Acting Administrator Chuck Rosenberg today announced results from the 2015 National Drug Threat Assessment (NDTA), which finds that drug overdose deaths are the leading cause of injury death in the United States, ahead of motor vehicle deaths and firearms. In 2013, over 46,000 people in the United States died from drug overdose and more than half of those were caused by prescription painkillers and heroin. 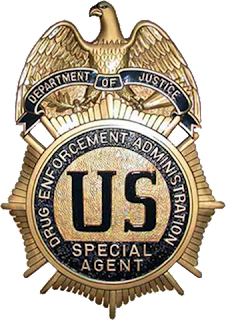 The 2015 NDTA also found that Mexican transnational criminal organizations are the biggest criminal threat to the United States, and are the primary suppliers of heroin, cocaine, methamphetamine, and marijuana. These groups are responsible for the extreme violence seen in Mexico, as they battle for turf and attack public officials and innocent civilians. Here in the U.S., affiliated and violent gangs are increasingly a threat to the safety and security of our communities. They profit by buying drugs from regional Mexican criminal affiliates and then supply American streets and communities with these dangerous drugs, particularly heroin. · Heroin availability is up across the country, as are abusers, overdoses, and overdose deaths. Law enforcement nationwide report a significant spike in heroin abuse as a result of prescription opioid addiction. · Heroin overdose deaths are also a result of high-purity batches unknown to the user, as well as heroin adulterants such as fentanyl. · Since 2002, prescription drug deaths have outpaced those of cocaine and heroin combined. Abuse of controlled prescription drugs is higher than that of cocaine, methamphetamine, heroin, MDMA, and PCP combined. · Fentanyl, a synthetic opioid 25 to 40 times more potent than heroin, has caused over 700 deaths in the U.S. between late 2013 and early 2015. Fentanyl is sometimes added to heroin batches, or sold by itself as heroin, unknown to the user. · Synthetic designer drugs from China continue to wreak havoc in the United States, particular synthetic cannabinoids, cathinones, and phenethylamines. Much of the proceeds of the sale of designer synthetic drugs from China flow to Middle Eastern countries such as Yemen, Lebanon, Syria, and Jordan. The National Drug Threat Assessment provides an up-to-date look at the many challenges local communities face related to drug abuse and drug trafficking. Highlights in the report include drug abuse and trafficking trends for drugs such as heroin, prescription drugs, and the many ever-changing synthetic drugs manufactured overseas and imported to the United States. In the preparation of this report, DEA intelligence analysts considered quantitative data from various sources (seizures, investigations, arrests, drug purity or potency, and drug prices; law enforcement surveys; laboratory analyses; and interagency production and cultivation estimates) and qualitative information (subjective views of individual agencies on drug availability, information on smuggling and transportation trends, and indicators of changes in smuggling and transportation methods). The 2013 NDTA factors information provided by more than 1,100 state and local law enforcement agencies that responded to our 2015 National Drug Threat Survey. These facts underscore why I remain opposed to marijuana legalization; I am convinced that marijuana will a threshold to the more serious problem drugs. So, I'm glad the Ohio citizens have voted against marijuana, and I suspect Colorado and other states wish they could have another vote. What do you think?